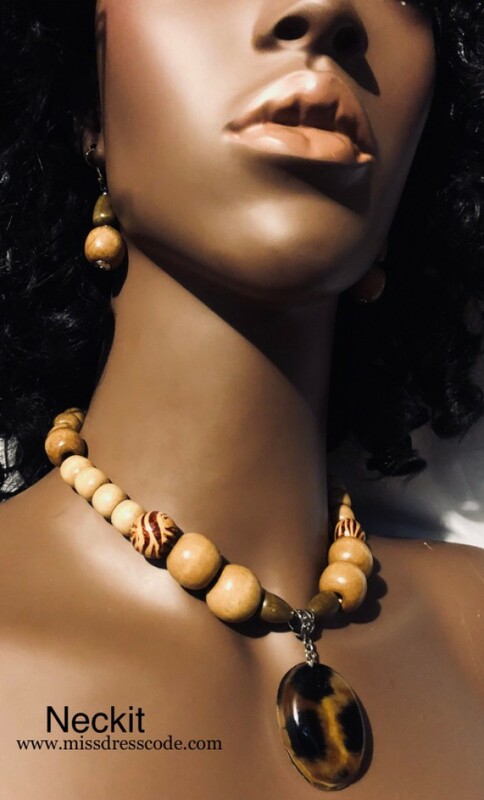 Wooden Bead Animal Print Themed Statement Necklace. Beautiful and unique animal themed one of a kind piece. 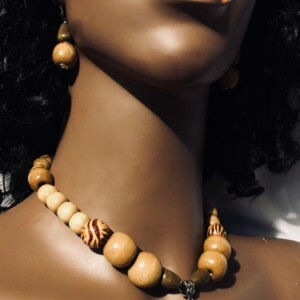 Made with wooden beads. 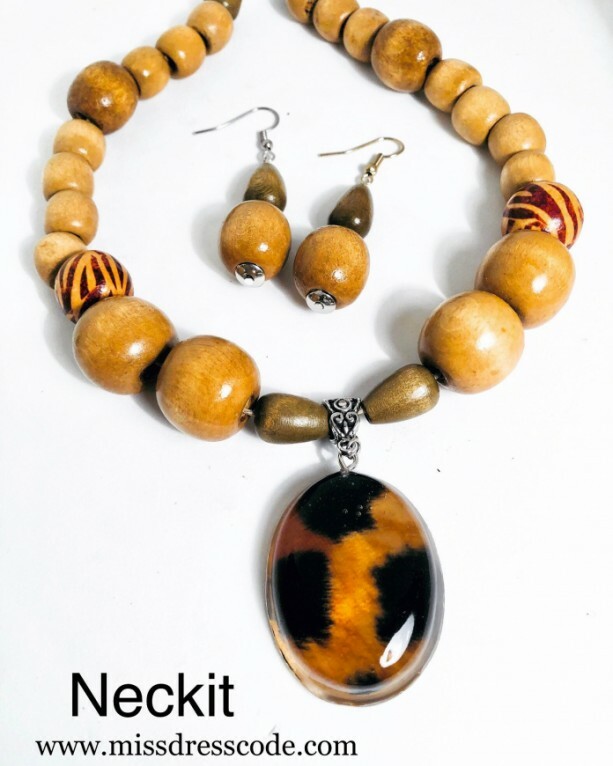 Pendant is velvet tiger print enclosed by resin. Beads are strung with hemp cord. Silver findings including lobster claw clasp. 17” long plus 3” extender. 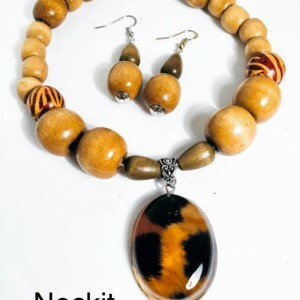 Matching wooden bead earrings hang approximately 1” with fishhook.